Google Webmaster Help Says "Correlation Does Not Imply Causation"
Kaspar Szymanski, a Googler responsible for Webmaster Communication and spam prevention, said in a Google+ post that "correlation does not imply causation." Something many have said before, but heck, it can't hurt to say again. It comes off a lot stronger anyway when a Googler who sees the details of a specific situation says it himself. He is clearly hinting that someone in the forums blamed a ranking drop to a header tag change when in reality, Google emailed the webmaster via the Webmaster Tools message center the real reason. If he just checked there, he would not have felt his H2 change caused such a serious ranking drop because it did not. Often it is hard for SEOs to realize that Correlation Does Not Imply Causation but they need to. Too many variables in search to simply pinpoint one change as the deciding factor in many cases. 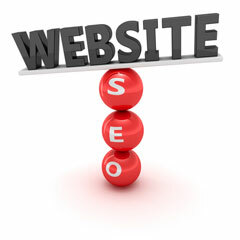 Image credit to ShutterStock for SEO graphic.